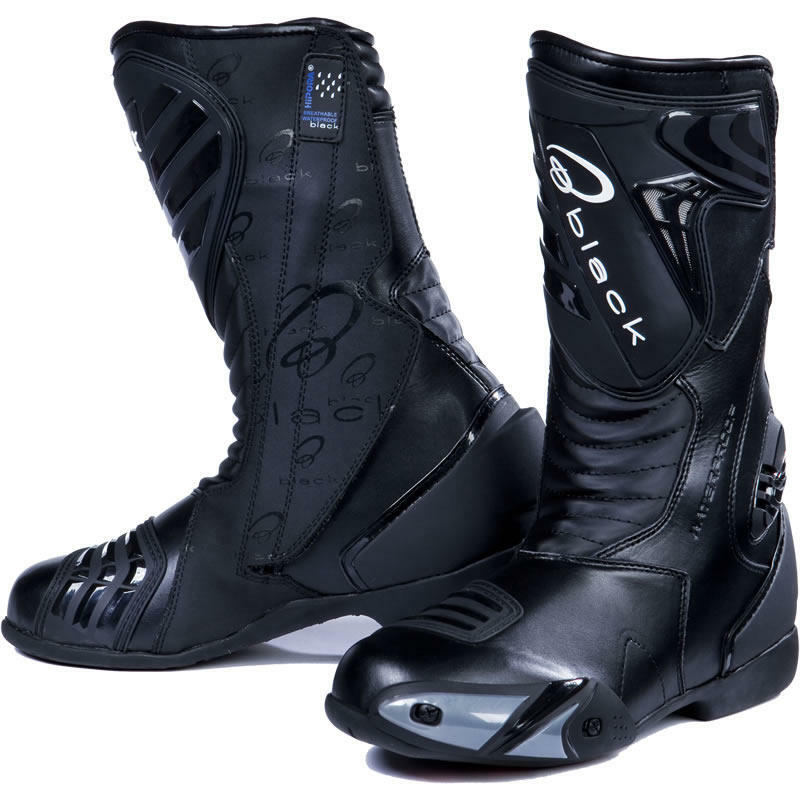 The Black™ Zero Waterproof Motorcycle Racing Boots are the latest edition to the Black™ range. 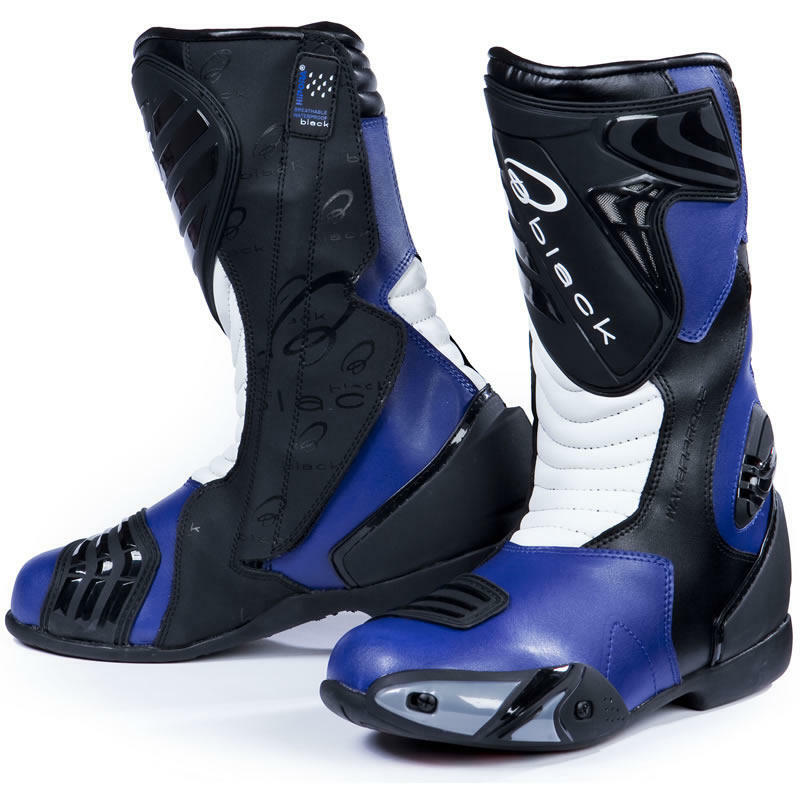 These full leather high spec race boots are fully waterproof and have been designed to offer a comfortable fit making them one of the best all round, all weather boots available. 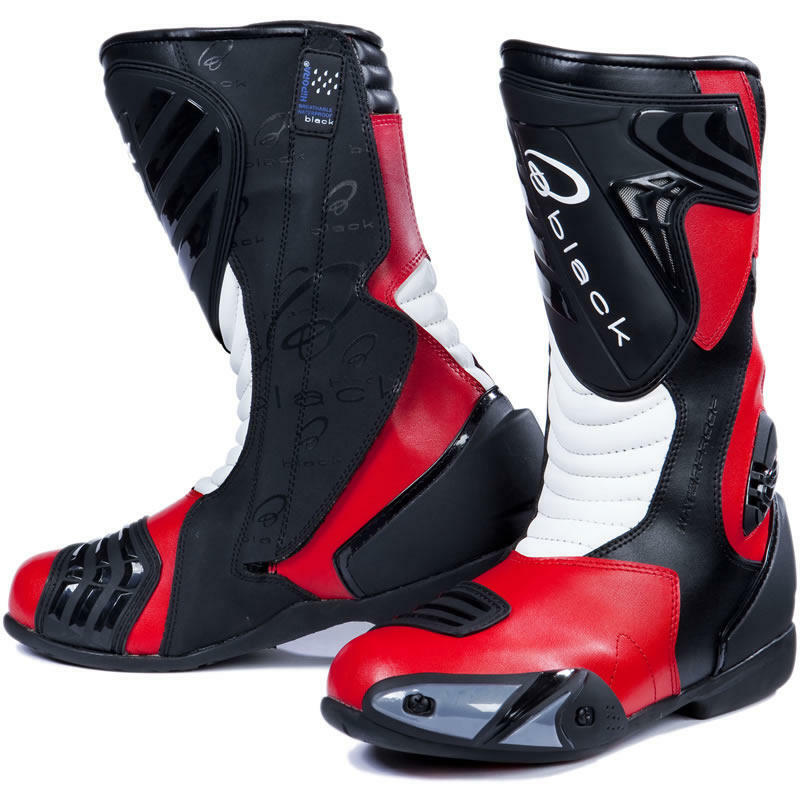 Get your Black™ Zero Motorbike Race Boots from GhostBikes today! 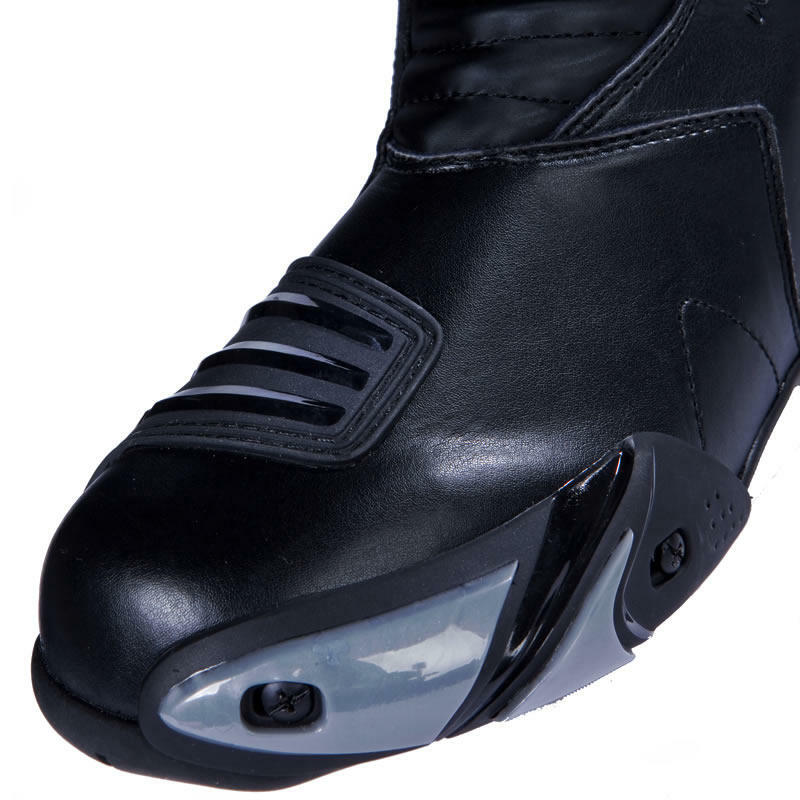 View the full Black™ Motorcycle Range. 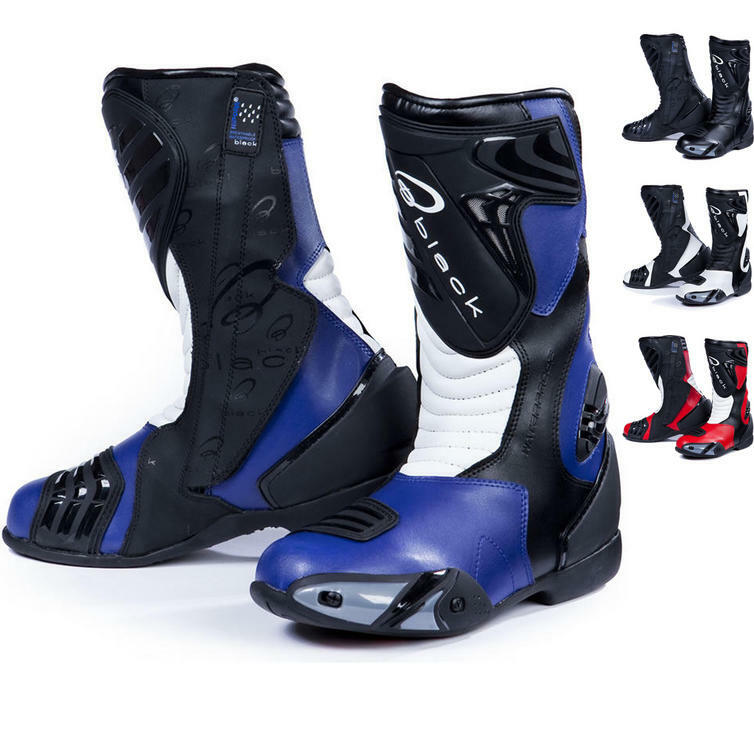 View all Race and Sports Boots. 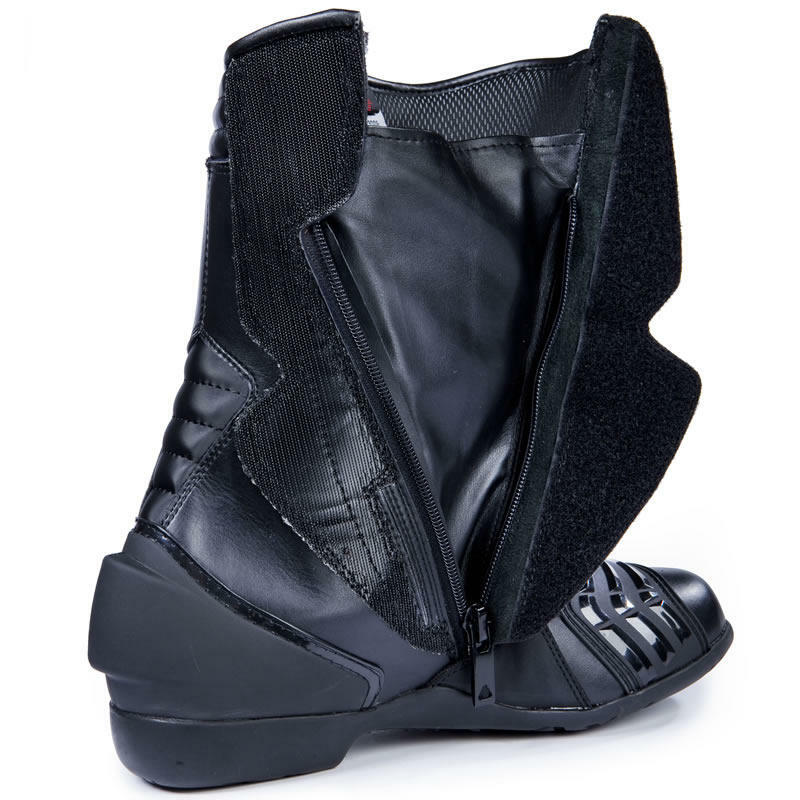 Hipora waterproof lining - Waterproof and breathable membrane that offers maximum flexability whilst remaining durable. 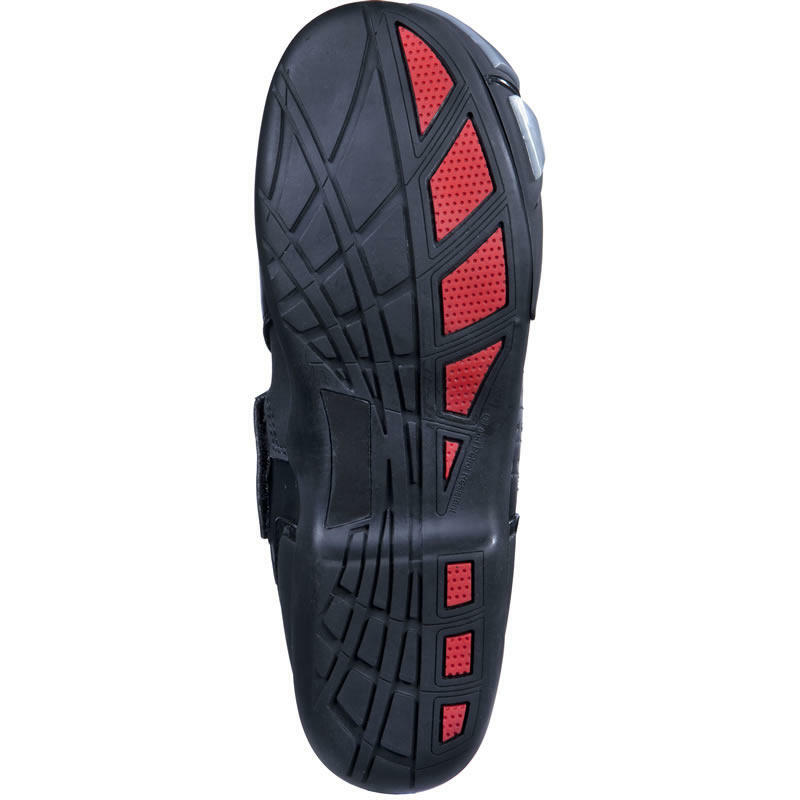 Comfort in sole - Triple density construction with comfort arch support and cushioned heel. 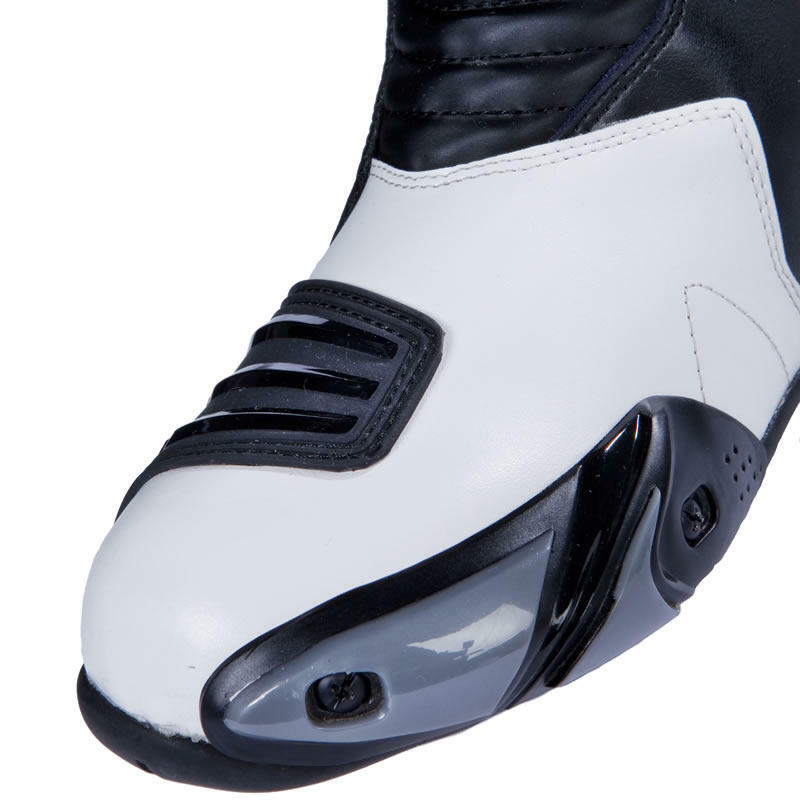 Made using anti fungal and anti bacterial materials that also help to wick away moisture to ensure maximum comfort. 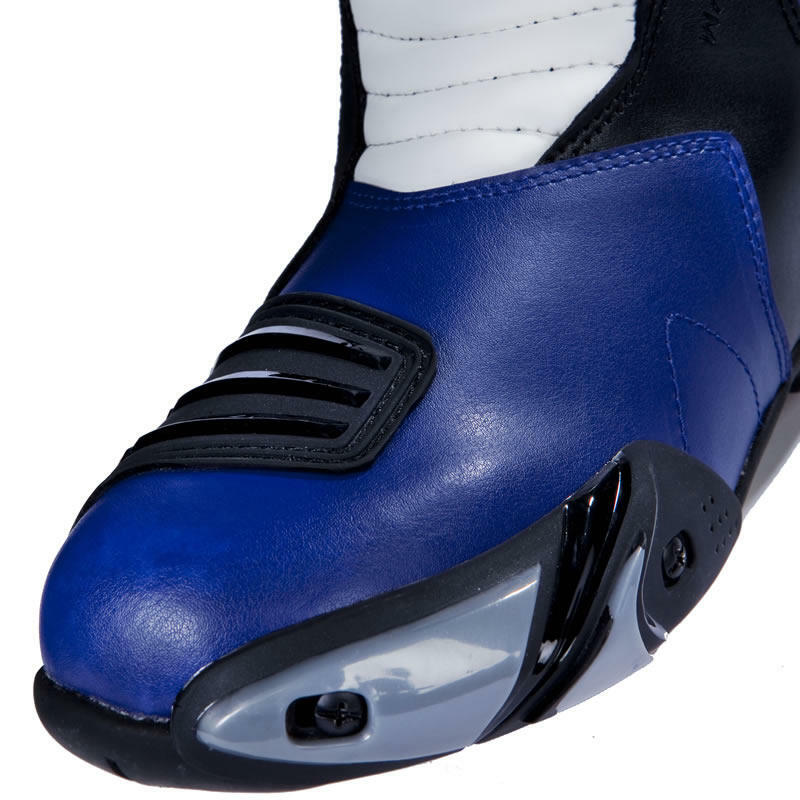 Innovative zip stretch panel - Specifically designed and placed to provide a smooth zip closure and opening. 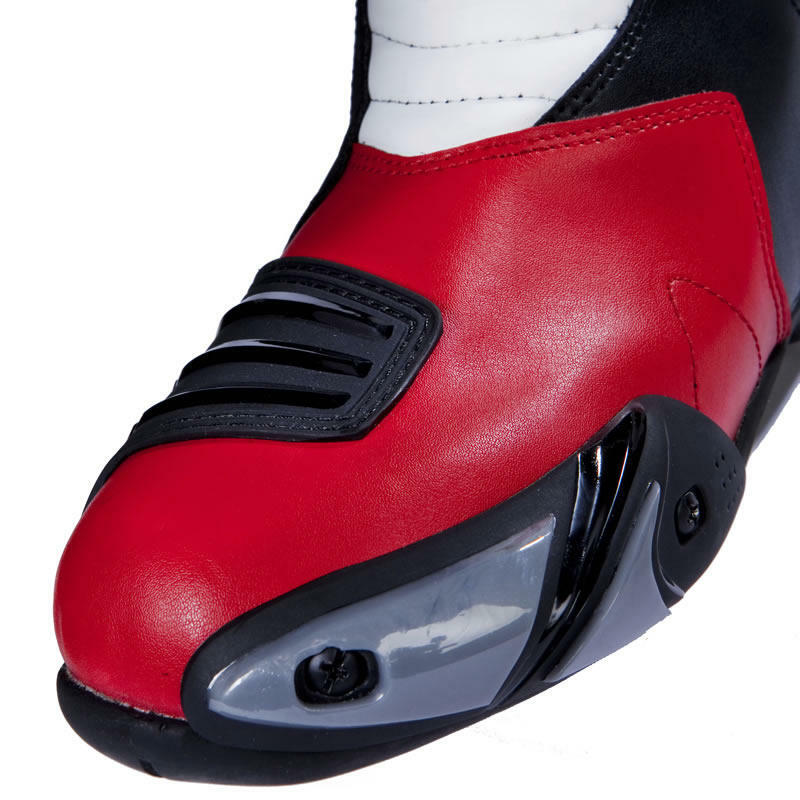 Oil and petrol resistant VR sole - Single density compound with mixed tread pattern to give excellent grip.